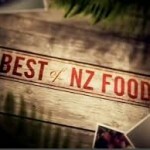 NZ’s Biodiversity 1: Salvation With Poisons? Jim Hilton, BSc Hons, Nelson-Buller based wildlife biologist and ecologist, spoke in December of last year to the Nelson Science Society. The following is part 1 of a serialisation of his presentation. It covers his time possum hunting. I started hunting possums on Banks Peninsula, near Christchurch in 1974. It was a steep learning curve and I only caught about 400 possums in my first winter. It was obvious I needed more bush and more possums, so I moved to Karamea, and poisoned and trapped possums there every winter for eight years. Government allocated specific areas of forests to hunters by ways of permits (possum blocks), but the prices for skins kept rising and Government got tired of policing petty squabbles about who could go where. It started an “open slather”, “go anywhere you like” hunting system in 1978. I thought it was a win-win system at the time, but in hind sight it was lose-lose and it still is today. At the time, possum skins prices kept rising and I caught over 1,000 possums every winter. High prices seldom last and the money paid for skins collapsed in 1982. From an average of $12 a skin in 1979, I was confronted by the reality of a $2.20 average in 1982. There were only about five full-time possum hunters left in Karamea, so we found other things to do. There were hardly any possums left anyway. During the 1950’s and 1960’s the numbers of possum skins exported from NZ was about half a million annually. In “game management” or “population ecologist” speak, that’s an “annual off-take” of half a million possums. We still have a few possums in NZ. About 1.2 million are harvested annually for fur and converted into useful export dollars. A taxpayer funded “poison industry” kills an unknown number annually and leaves them to rot where they die. ~ some on the forest floor. ~ some in their dry nests under large rocks and tree roots. This process of “over hunting” is described by population ecologists as “serial overkill” or “Blitzkrieg” extinction” when a species is wiped out completely and matches what happened to wildlife in other parts of the world. “Serial overkill” of wildlife by human beings is common; it has happened for much of human history. In NZ it happened with our larger introduced wildlife – deer, tahr (thar), chamois and pigs – some six years before we overkilled possum. Again, it was a combination of rising prices and military technology (cheap helicopters left over from the Vietnam War). Humans are great at exploiting new opportunities, especially when they think they can get rich quickly. It only took five or six years for hunters and helicopter pilots to gear up and go after wild game. Peak annual harvest was in 1973 with a commercial off take of about 200,000 animals. It was another case of “serial overkill”. By 1980, the numbers had dropped by 70% to about 70,000 game animals. 1080 warning; dogs keep clear! Let’s go back to my possum poisoning and trapping in Karamea. Government was taking an interest in possums for another reason. Veterinarians had discovered Tuberculosis (Tb) in possums and thought possums were spreading the disease back to cattle. The Government employed hunters who killed the Tb infected possums that were close to problem farms. They, too, eventually did themselves out of a job. But their bosses had other ideas. They were quite sure that the few remaining possums were a “reservoir of Tb infection” and that they needed thinning out even more. They decided to aerial poison possums in the entire bush behind the problem farms. link between Tb and possums, so I gave up quickly. The rest is history. Government departments come and go, politicians come and go, names change, but year by year, the poisoning has increased. I was not amused. I had skinned about 15,000 possums and knew that Tb was not a problem. Only about .03% of possums were infected. The other possum hunters knew that too. The only places we found unhealthy possums infected with Tb were where cattle had been farmed. 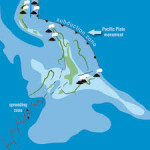 “Hotspots” were like the Mohikinui Flats and the coastal section of the Heaphy track. There was a family of kea parrots living on the Karamea Bluff Road at the time of the first aerial 1080 poisoning. They disappeared after that. I was not the only one to notice. I like kea and enjoyed their company. It’s lonely up in the bush when you spend all day there skinning possums. Part 2 of Jim Hilton’s talk will look at ethics in science, geological history and the moa. 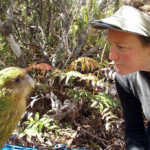 This is the second instalment in the serialisation of Jim Hilton’s talk to the Nelson Science Society, and covers scientific approaches, and the role of the browsing Moa in the evolution of New Zealand’s biodiversity. The Royal Society of New Zealand has a code of ethics which covers issues of professional integrity. It spells out that scientists should represent themselves as experts only in their field of competence and that credit must be given for others ‘ ideas and contributions’. 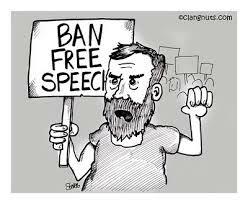 It advises that statements made to the public must be done without distortion or unjustified extrapolation. My scientific training is in Biology, Geology and Chemistry. More specifically my training focused on animal and plant ecology, animal and plant behaviour and population ecology. The ideas I present tonight are not new. I have stolen them from all over the place. “Information overload” is a huge problem for scientists. Reading scientific papers and publications, then sorting them out, is a nightmare for me personally. When I do finally stop reading and make a sensible conclusion? Fortunately many experts in their fields start writing books as they get toward the end of their careers, summarising their ideas and condensing the “Information overload” into something more digestible. I’ve been reading these sorts of books for years. About 35 million years ago New Zealand sank below the ocean, becoming a chain of islands, the largest of which was present day Central Otago. But a fresh period of mountain building started and our present day Southern Alps gradually rose from the sea. That’s a good place to start the New Zealand biodiversity story, because a lot of the South Island was later covered in ice. Many of our unique plants and birds were lucky to survive at all. It was at the time (when NZ was a chain of islands) that our giant Moa split into nine different species, a species on each island. Understanding the role of Moa and our other browsing birds is crucial to understanding why we have NO need to poison our introduced wildlife. 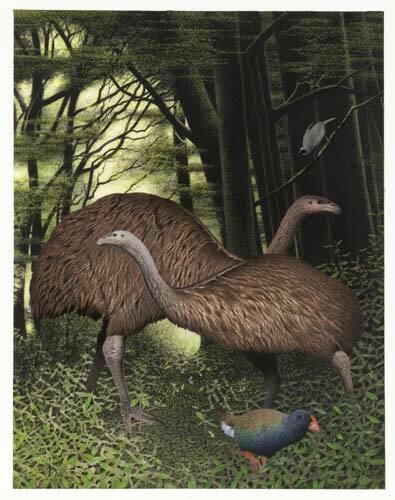 As New Zealand rose from the sea, it took on its present shape and the different species of moa fitted into the habitats for which they were best suited. 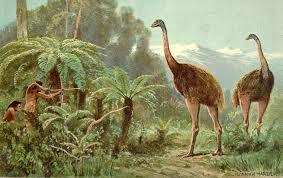 The largest species was the Giant Moa, the tallest bird that ever lived. It was at least three metres tall at full stretch and weighed on average 167 kg. 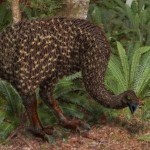 The smallest species was the Little Bush Moa weighing in at 15 kg. It was about the size of a goose. The Heavy Footed Moa weighed in at 200 kg. They were swamp dwellers with short stumpy legs. feathers right down to its ankles. It weighed in at 30 kg. The Crested Moa was the rarest. It, too, was an alpine species. Its stronghold was northwest Nelson. Estimates of the numbers of Moa in New Zealand when the Maori discovered the land about 800 years ago have varied from five to 12 million. Recent studies, however, suggest it was more like one million. 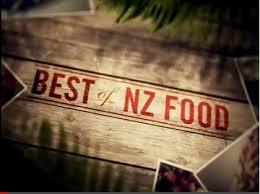 They were certainly very common though and the main diet of Maori for the 13th and 14th centuries. Part 3 of this series will look at Moa hunting and the experience in other countries with native fauna extinctions. 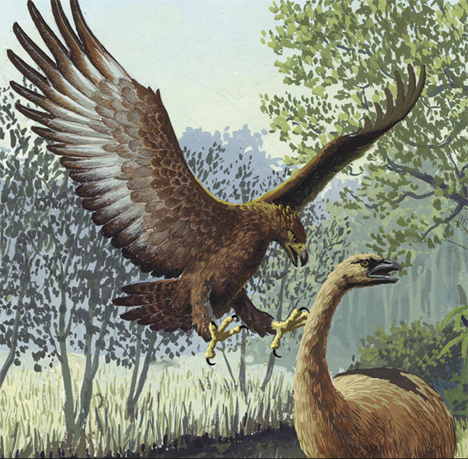 Part three of the Nelson Science Society talk by Jim Hilton has a closer look at mankind’s hunting habits and the fate of the Moa in New Zealand. New Zealand’s original capital was a village of eight to 15 hectares (30 acres) on the Wairau Bar near Blenheim (NZ’s Stonehenge). 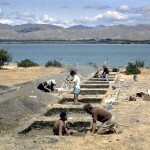 The latest large scale study was done there in 2010, looking at 44 ancient grave sites similar to villages in Polynesia. At all the major river mouths in Canterbury and Otago were Moa “meat works” and “ovens”, where Moa were butchered, the bones smashed and the meat preserved in marrow fat. The method was much the same as oily mutton birds are preserved today. 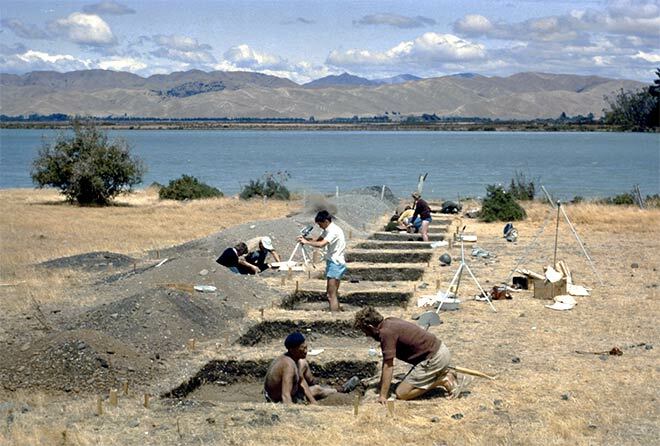 The preserved meat was transported by canoe back to the Stonehenge Village on the Wairau Bar. The first of these Moa processing camps was discovered by early explorer Julius Haast near the present day settlement of Rakaia Huts, now a favourite haunt for salmon fishermen. “This huge site is thought to have once covered 80 hectares” (200 acres), Berentson reports. Maori hunting parties obviously used rivers as highways into the Moa heartlands of Otago and Canterbury, as strings of ancient butchering and cooking sites have been discovered beside the rivers. 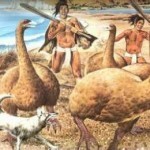 The Maoris were very efficient hunters. 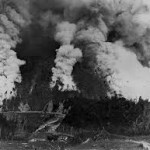 Using fire and dogs, they certainly burnt most of the dry forest on the eastern side of New Zealand. Moa quickly disappeared from the coastal plains and river valleys and never had a chance to repopulate. Quinn Berentson describes it like this: “The hunters spread like a fire that swept through the Moa heartland, completely wiping out the birds in each area…. 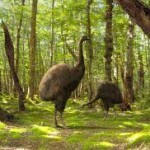 The speed at which Moa disappeared from around New Zealand was remarkable…. 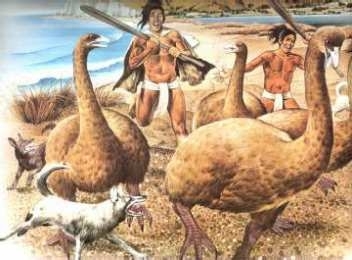 Within a few hundred years of human settlement Moa were extinct in most of New Zealand.” Europeans were not the first humans in New Zealand to “serially overkill” their food supply! Tim Flannery describes this process in his 2001 book “The Eternal Frontier.” The American Indians killed off the woolly mammoths and European settlers killed the vast herds of bison from across North America. If Maori hadn’t wiped out our Moa, Europeans would have done it even faster; their superior technology (modern firearms) would have seen to that. No modern farmer puts up with large animals smashing his fences or interfering with his farming practices. New Zealand is not the only country in the world to have lost many of its special wildlife from human invasion. Every part of the world had unique animals and birds. Many species have gone extinct and many others are not as common as they once were. Australia has been occupied by humans for twice as long as Europe, probably 60,000 years. It managed to miss out on the ice ages. Australia has lost most of its megafauna (large animals), too. The indigenous humans in Australia were experts with fire, just like New Zealand’s first human inhabitants. Europeans have introduced foreign species into other countries, too, just like we have done in New Zealand: deer, rabbits, rats, mice and stoats. But other countries do not use aerial poisons to “save” their remaining native species. The fourth instalment of this series will look more specifically at bird extinctions as well as other causes besides hunting for their demise. 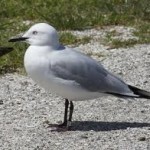 Jim Hilton’s talk to the Nelson Science Society continues in part four looking at bird extinctions and the causes of their demise. At least 50 birds became extinct on the Hawaiian Islands before European arrival. New Zealand has a similar record of extinctions. Let’s look at when they happened and to what birds. New Zealand lost 58 species of bird since humans arrived 800 years ago. All the big ones have gone: nine species of Moa, Haast’s Eagle, the Adzbill and the Giant Goose. Some 38 of these species became extinct in the first 600 years, under Maori rule. Only 18 have become extinct since Europeans arrived. Some of the early Europeans could see that some birds like Huia were almost extinct and helped them with shotguns, earning valuable overseas dollars from overseas collectors. 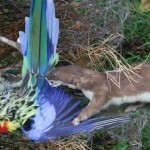 But habitat loss and disease probably killed off more birds than introduced predators like weasels, stoats and ferrets. New Zealand was almost entirely covered in forest when the Maori first arrived. As experts with fire, their hunting parties burnt a third of our forests, mostly the dry forests on our east coasts. When Europeans arrived about 1800 they made short work of most of the easy remaining forests with fire, too, and with their superior metal technology and thirst for money from cut timber and farmland. In 1863 one tussock fire in Canterbury burned for six weeks. Today only 23% of New Zealand is still covered in forest, but it’s worse than that for our native birds and other wildlife. Our remaining forest is nearly all high altitude, steep, mountainous and cold. Our lowland forests are mostly gone, as are most of our swamps full of flax, rich in nectar (bird food). Dairy cows now graze where our swamps once were. Modern technology has done that. Huge excavators have drained most of our swamps. Humans follow the money. 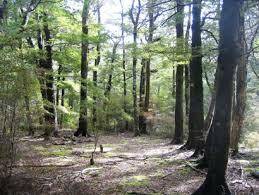 The warm lowland forests are where many of our native birds spent the cold winters. Many of them migrated up to our mountains following seasonal food supplies in the form of new plant growth, flowers and fruit, but mountains are not prime habitat and are too cold to keep lots of birds alive all year round. 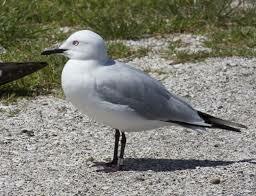 Many birds which visit our warm lowland areas now find they are not welcome. Apple and grape orchardists pay hunters to shoot and scare blackbirds, starlings and silvereyes. 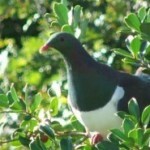 They do not like large native birds like Kereru (native pigeon) or Kaka in their orchards. In Nelson there is outrage when a few young Kea vandalise caravan fittings at the Abel Tasman caravan parks. I can see a big battle looming when flocks of native parakeets from our national parks decide to spend their winters in Nelson’s orchards. Birds have wings; animals have legs. That makes birds frustrating from a scientist’s perspective. They fly and run away and you don’t really know where they have gone. Our Godwits and some other waders fly to the northern hemisphere to breed during our winters. Our Cuckoos fly to the Pacific islands and then they reappear. Modern technology is great. We have radio transmitting backpacks for animals and birds, but they don’t like them. They alter their behaviour, they make them more prone to predation, and they don’t like being caught and being constantly monitored any more than humans do. No wonder some of our rare species are declining in numbers. We study them to death. Plants are much easier to study. They don’t move round as fast. 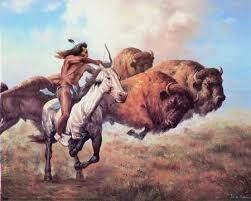 European diseases were probably as hard on indigenous wildlife as they were on indigenous peoples. It’s a poorly studied part of the extinction story, but bird watchers were very worried about our Bellbirds at one time. Weka disappeared over large parts of New Zealand also. So why am I telling you all this? Because there is a long history and lots of different reasons why wildlife numbers fluctuate and some go extinct. It’s not just about rats, stoats and possums. 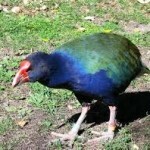 Collectively, New Zealand’s extinct birds and bats provided New Zealand with the ecological equivalent of the flightless mammals in other continents: Moa instead of deer, flightless Geese and Coot instead of rabbits; big insects, little birds and bats instead of mice; and Haast Eagles instead of leopards. Kereru, our native pigeon occupies a similar ecological niche to possum. They are serious browsers of trees, eating the young leaves and fruit. 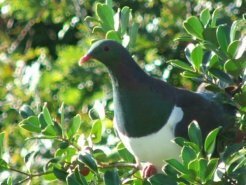 Kereru can be just as big a nuisance in orchards as possums. I refuse to call them pests. Part 5 of this series will focus on the role of browsers, birds and animals, on vegetation. Jim Hilton’s talk to the Nelson Science Society continues with the role of the Moa and other browsing fauna. 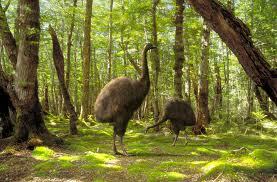 Question: What effect did Moa and the other browsing birds have on NZ’s vegetation and forests? They ate palatable native species in a similar way to the introduced wild animals in our forests today, and our domestic animals like cattle and horses. They also left wide tracks and trampled vegetation. 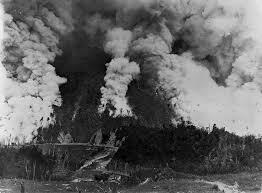 They stomped up and down river banks, produced greenhouse gasses and defecated in our rivers. They did all this without killing our native fishes or exterminating rare native plants, snails, frogs, lizards and insects, bringing our forests to a state of collapse, like some people would have you believe about domestic animals and introduced wild life today. The last meals of Giant Moa, conveniently preserved in swamps, were analysed in the 1980’s, revealing lots of leaves and twigs. “Moa were habitual forest-dwelling species.” Their closest living relatives are the Cassowaries, rainforest dwellers of Northern Australia and New Guinea. They eat a lot of fruit, as well as pruning trees. Moas had huge feet and their diet would have included frogs, lizards, snails and insects. Can you imagine the damage 200 kg of giant bird is going to do to the forest floor when it is scratching about with its feet? 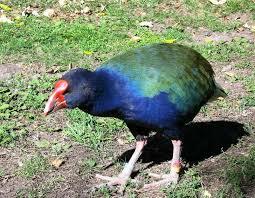 Combined with Kakapo, Takahe and Weka, Moa would have eaten thousands of native snails. 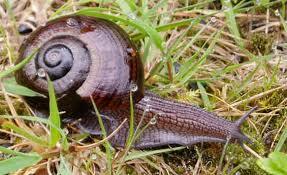 That’s probably why our native snails are nocturnal, to avoid predation. Are possums and rats going to make our snails extinct? I doubt it. Especially in the low population numbers we now have in our forests. 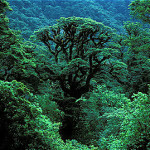 Our forest vegetation has evolved with wildlife disturbing the soil for millions of years. There are countless large native trees in farmers’ paddocks in New Zealand which survive very well with their roots trampled and their bark rubbed as animals scratch themselves. Large browsing animals and bird feed along contours, they leave wide tracks, natural terraces which slow down water as it runs down our hillsides. Yes, they loosen soils sometimes, but they compact them, too. The idea that browsing wildlife will turn our high country into giant shingle slides, which will ruin our farms and swamp our cities was put to rest by hydrologist in the 1970’s and by botanists in the 1980’s and 1990’s. 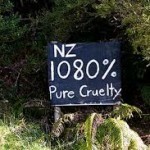 New Zealand’s vegetation has more to worry about than being eaten to death by introduced animals. Patrick J. Grant, hydrologist and botanist, wrote a book in 1996 called “Hawke’s Bay Forests of Yesteryear.” He studied the diaries of missionary William Colenso, the first European to enter the Ruahine Mountains in 1845 and 1847. Dead trees, canopy collapse and accelerated erosion were described and sketched in detail, years before deer and possum were released. Early photos taken in 1917 show high numbers of standing dead trees. They correlate with severe droughts. ~ wildlife (like Moa and introduced animals). I remember the Wahine storm (1968). Others will remember Cyclone Alison (March, 1975), Cyclone Bola (March 1988) and Cyclone Ita (17 April 2014). The devastation to our forests was horrific. At least 50 species of NZ native plants protect themselves in this way. Wild Spaniard will be known to most serious bush walkers. They have sharp spines and Moa would have cursed them as much as I do. New Zealand’s native pines – Kauri, Totara, Rimu, and White and Black pine, all have spikey, browse resistant juvenile forms. 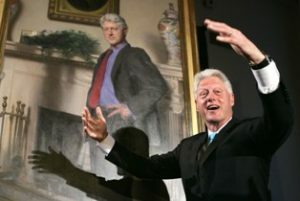 (See photo alongside.) Clearly they have evolved to withstand browse. Without browse our forests will eventually be dominated by faster growing broad-leaved Taraire, Tawa and Kamahi, instead of the giant podocarps. The Lancewood is probably the best example of a tree which has adaptations to avoid being eaten by Moa. The seedlings camouflage with the forest floor from where they sprout. The sharp dagger-like leaves have backwards facing barbs, which make them difficult for a Moa to swallow. The leaves of younger trees have bright spots by each barb, like a warning signal. 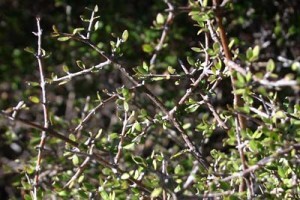 Once a Lancewood grows beyond three metres in height, the leaf shape “relaxes and morphs back into something which resembles a normal tree leaf.” The Chatham Island Lance wood (800 kilometres east of New Zealand) does not have this variable leaf shape. There were no Moa on the Chatham Islands. Part Six of this series will look at where and how science first got biodiversity wrong. Jim Hilton discusses the need for browse in our forests and the balance with predators in this sixth part of his Nelson Science Society lecture. Failing to understand the impact of Moa and other browsing birds is where our present day advocates of biodiversity have got it so wrong. Natural science in New Zealand got tunnel vision in the 1920’s. First prize for promoting this tunnel vision goes to Botanist Leonard Cockayne. There has been plenty written about this plant collector and Government botanist, so I will be brief. He had a phobia about introduced animals eating native plants and promoted the idea that New Zealand’s biodiversity had evolved in the absence of browsing predators. To some botanists wildlife are simply predators, preying on plants. They don’t see the bigger picture: the way the plant kingdom and animal kingdom coexist and co-evolve. They depend on each other. Their inter-relationships are complex. The natural world is full of surprises, sometimes predictable and at other times not. Plants and wildlife have evolved together for millions of years. 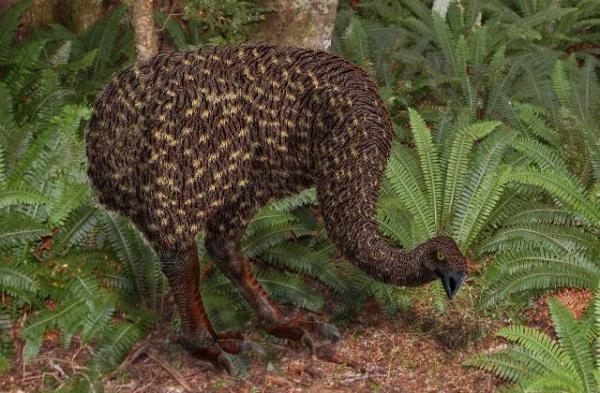 Now that modern science has unravelled the Moa story, it is obvious that our early biologists were incorrect about our native birds and plants evolving in the absence of browsers and predators. 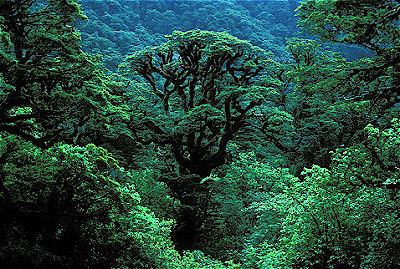 The forests which the first Europeans found were not the forests our unique native birds, frogs, lizards, fish and insects evolved in at all. They were forests deprived of their large wildlife for over 300 years. From being a forest full of browse tolerant plants, New Zealand was now a forest of broad leaved palatable plants which had previously been eaten by Moa, Kakapo and our other plant eating birds. 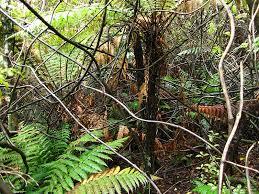 From being an open, well tracked forest, it was now a tangle of uneaten plants and thick undergrowth. It was a headache for our early explorers and not really a prime habitat for native birds. Most native birds like a tracked and open forest floor, one where they can quickly scratch among fallen leaves, rip apart dung to find insects, and dig in the soil to find worms. They need open flight paths to escape their enemies. 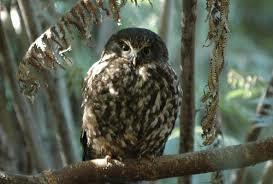 Woe any bird or native bat which gets caught in a tangle of thick plants by a falcon, morepork owl or harrier hawk. The newly hatched young of many birds are very sensitive to wet and cold. They die when they get too west pushing through long grass and thick vegetation. New Zealand’s wet climate, combined with long grass and a plant-choked forest floor, is a death recipe for kiwi with their soft feathers, as well as for many other birds, too. Young birds have to follow their parents quickly and not get separated from them if they are to survive to adulthood. Flightless birds especially need tracks so they can get quickly from one place to another to exploit seasonal food supplies. They need tracks on a daily basis, too; a sunny spot in the morning and a sunny spot in the afternoon, too. Not too different to humans really! Our introduced possum need this sort of habitat as well and for the same reasons. They spread much faster in forest which was opened up by deer, goats and pigs. We can find examples of well tracked, heavily browsed forests today on many of our back country farms, where domestic livestock have been allowed to feed and camp in the bush. Some of our high altitude forests still have an open under storey. There is a short growing season at higher altitudes and these forests have not yet got dense thickets of plants invading the forest floor, which is so typical of our lowland areas today. The open, high altitude forests are where we find our best numbers of kiwi. Often the remains of animal tracks are still quite clear. Stewart Island is an interesting example. Here the growing season is short, with deer and possum in balance with plant growth. There are no stoats or mice, poisoning by humans has been minimal and birdlife is spectacular. 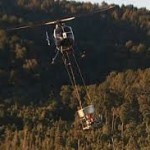 It is very similar to West Coast South Island forest before aerial 1080 poisoning. 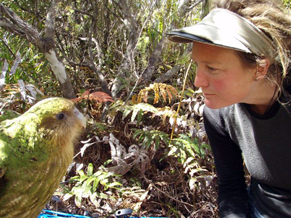 Part 7 of this series will look at the role of predators in New Zealand’s biodiversity. Jim Hilton discusses the role of predators in balancing biodiversity. 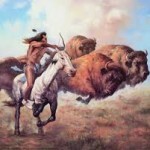 The forests which the early Europeans found were also forests deprived of their large predators. Our extinct Haast Eagle was the largest bird of prey to ever exist. They were fast, powerful, agile predators. They were forest inhabiting eagles like their closest relatives, the Harpy eagle and Philippine eagle. “The wings of jungle eagles are stubby, built for power and manoeuvrability in a dense environment full of obstacles.” Haast’s eagle grew to be as big as an eagle could possibly be: 15kg or 33 lb. This was twice the size of a Harpy, which has been clocked diving at 80 kilometres per hour. Our extinct Adzebill had a massive skull which powered a beak with sharp cutting edges and was likely an active predator, digging into the burrows of nesting seabirds. 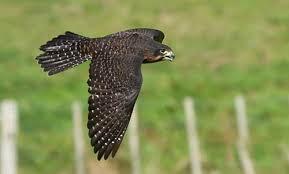 The large Eyles Harrier is now extinct, but most people will have seen the common Harrier hawk and possibly the falcon. Falcons are fearless and most birds are terrified by them. Because they are now so rare, they don’t now have the impact they once had, but when they were common they would have eaten just as many native birds as stoats, probably more. Our famous night parrot, the Kakapo, didn’t hang around the alpine tussock fields in daylight. Haast Eagles would have “made them” nocturnal, likewise Kiwi. 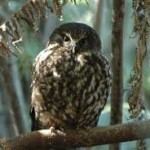 We still have the night time predator, Ruru (the morepork owl), but we had a larger Laughing Owl as well. 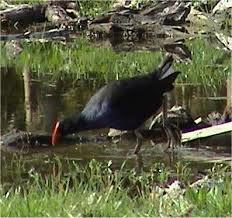 But there are lots of native birds which are active predators. Cuckoos are renowned for stealing the eggs and chicks of other birds. Our lovely White Heron (Egret) swallow live Silvereyes and ducklings if they can catch them. They have earned pest status in Christchurch for stealing expensive goldfish from suburban fish ponds. Our native parakeets kill burrowing seabirds (storm petrels) on the Antipodes Islands and they scavenge on dead birds. 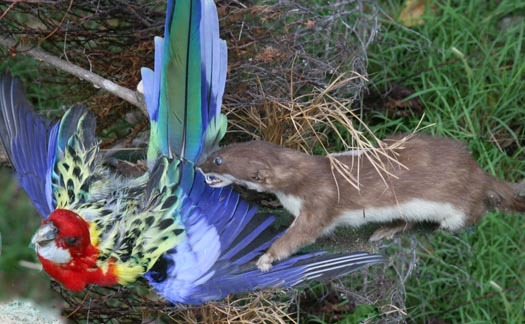 Pukekos kill stoats unlucky enough to get caught out in an open paddock. We don’t have many native eels anymore, as most end up as expensive meals in Europe, but they are deadly predators of ducklings. In the past, eels would have killed more ducklings that stoats do today. So the idea that introduced predators will extinguish our remaining mainland native birds is wrong. Our native wildlife has coexisted (evolved) with predators since day one. Our shorter living native birds have a huge breeding potential, large clutch sizes and often raise several broods in the same year when food and weather is favourable. Our longer living native birds do not have to fledge young every year to maintain and expand their populations. The important thing for them is adult survivorship. Our most serious introduced non-human predators, stoats and rats, have been here so long that they are now in balance with our present day (contemporary) mix of wildlife. They merely replace some of the bird predators our birds have evolved with for millions of years. Sure, stoats eat birds (See alongside); rats eat a few, too. Possums take the odd egg. But the idea that birds cannot cope with predators is wrong. Similar birds in overseas countries are not going extinct because of predation by wildlife like stoats and rats. Our introduced rats and possums are basically vegetarian. Rats’ diets are 95% vegetarian; more so for possums. All the stomach analyses and behavioural studies tell us this. 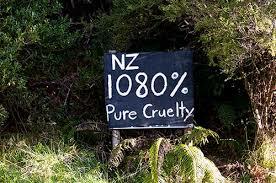 Today, trapping and poisons are used over one third of New Zealand’s total land mass: ten million hectares. New Zealand will complete a “Battle for its Birds,” with an aerial poisoning programme covering almost one million hectares this year. Usually NZ aerially poisons .6 of a million hectares (2.5 million acres) annually in about 70 “operations” (helicopter poisonings) per year. In part 8 of this series Jim Hilton will discuss current biodiversity with introduced animals and native flora and fauna. Some depressing poison statistics and the need for foreign species are discussed in this 8th part of Jim Hilton’s biodiversity lecture to the Nelson Science Society. 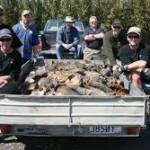 Today, trapping and poisons are used over one third of New Zealand’s total land mass, some 10 million hectares annually. 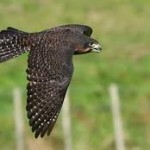 New Zealand will complete a “Battle for Its Birds,” an aerial poisoning programme covering almost one million hectares this year. 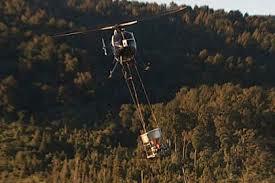 Usually, New Zealand aerially poisons 0.6 million hectares (2.5 million acres) annually in about 70 separate “operations,” i.e. helicopter poisonings, per year. No wonder deer and possums multiplied to huge numbers. 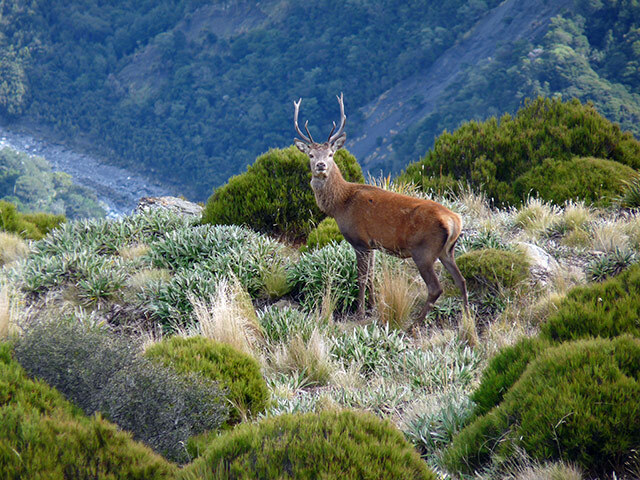 New Zealand never needed to cull wildlife in our mountain lands; nature does it for us. It takes about 25 or 30 years for deer to reach peak numbers in a vacant ecological niche. Introduced deer opened up the tracks which had been used by moa and other large birds, eating a similar diet, the broad-leaved palatable species. Deer stayed at peak numbers for about five to 10 years and crashed as wildlife numbers and food balanced each other out. Wildlife populations stabilise at much lower numbers than the peak densities. The early deer stalkers witnessed this. Jim Muir, an early hunting guide described valleys being littered with dead hinds in the 1930’s. 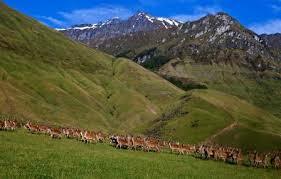 The 1957 Lake Monk Expedition in Fiordland first described how deer were at balance with nature in our deep south. 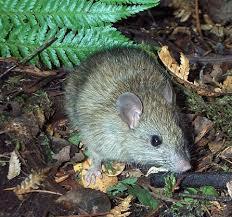 Possums were slow to spread throughout New Zealand, but helped by bridges and widespread liberations by humans. Peak populations were huge, but they too crashed spectacularly as palatable plant species were reduced in numbers and harsh winters and human predation for money (fur) took their toll. It is unlikely New Zealand will ever again witness the huge populations of introduced wildlife that we have seen in the past. Certainly the populations will not grow while we have top-of-the-food-chain humans, poisoning them to protect their farm animals and hunting them for money. The same is true for our smaller introduced wildlife, mainly mammals, birds and insects from Europe. Most have had well over 100 years to spread, reach peak numbers and crash as they integrate with our native species and with human interference (e.g. farming, hunting, poisoning, etc.). Dogs and rats have had 800 years to stabilise. The species may change, as modern, better adapted species like the ship rat replace the earlier rats. German wasps reached peak numbers in the 1940’s but were quickly replaced by common wasps in the 1970’s. Stoats only took 20 years to reach the remotest parts of high rainfall Fiordland. They have had over 100 years to stabilise to the contemporary mix of rats, mice, birds, frogs, lizards and insects. Our recent targeting of stoats in New Zealand is one of the causes of localised increases in rodent (mouse and rat) numbers. They are usually quite localised and not widespread over our complex geography and complex mix of flora and fauna. 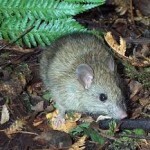 New Zealand’s biodiversity is richer because of the introduction of foreign species. The new species mix and integrate resulting in a healthier environment, one less likely to have wild swings in population numbers and better able to cope with human interference. It favours fast breeding species at the expense of slower breeding species. This is where we have made a huge mistake with Aerial 1080 poison, Brodificaum and common farming insecticides like Diazinon. As well as killing our rare wildlife, many species quite common until recently, like the black billed gull (pictured alongside), and the black fronted tern, which like feeding on insects in freshly cultivated paddocks, are now becoming rare. The next segment continues to look at why wildlife is valuable and the reality of continued poisoning. Jim Hilton continues his broad picture analysis of New Zealand’s current wildlife and the attitude towards poisoning in this 9th part of his Nelson Science Society lecture. It was only natural that our first settlers wanted to bring animals and plants from their native countries to New Zealand. Maori brought rats and dogs. Europeans brought rabbits, possums, pigs, goats and highly prized hunting animals like deer, chamois and tahr. They also brought game birds from overseas: quail, pheasant, Canadian geese, and mallard ducks. They brought gorse for hedges, fast growing timber trees, fruit trees, nut trees, wheat, oats, barley and clover. They also brought insects like honey and bumble bees, earthworms, domestic animals such as cows, horses, sheep, goats, pigs, dogs, cats and lots of other stuff which they thought would be useful in their new home. Basically humans got it right. 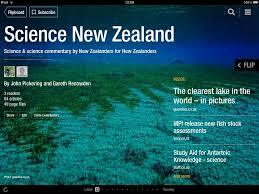 Present day (contemporary) New Zealand is richer in biodiversity than it was before humans arrived. We use these exotic species to make money and pay bills. They were brought here for a purpose. They were valuable animals and plants and still are. Domesticated animals and plants are the mainstay of our economy and our introduced wildlife could be an important part of the economy as well. 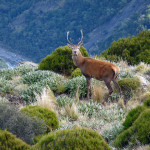 In the past, introduced wildlife has been big money earners for New Zealand. When jobs were scarce during the economic depression of the 1930’s, rabbits were big money earners. Trophy hunting for deer was big in the 1920’s and ‘30’s. Deer skins paid big money in the early 1940’s. Many returned servicemen shot deer for skins after they had finished in the army. The government employed deer cullers in the 1930’s. They were expected to dry the skins of the deer they shot so our government could recover some money. Killing valuable wildlife and leaving them to rot was not an option in a country climbing out of a depression and with severe unemployment. We don’t have enough animals, but with sensible management we can get them back. The present idea that introduced wildlife species are pests and should be poisoned is wrong. It is scientifically wrong and morally wrong. 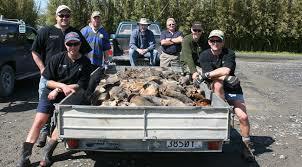 New Zealand has spent a lot of money on killing wildlife. It is regarded as a rightful activity by farmers. It’s part of our national psyche. I call it the “Barry Crump” factor. The hunters and pilots who kill and poison our wildlife are seen as heroes by some people. Legislation permitting killing and poisoning is enshrined in law and special bureaucracies and private entities have been created to promote and assist in the hunting and poisoning of our wildlife heritage. Applied scientific research fine tunes the aerial poisoning, experimenting with baits and the best ways to use them. 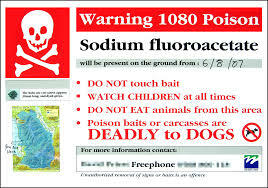 The old poisons like arsenic, strychnine and phosphorus have been replaced by more modern, more toxic poisons like 1080 and second generation anti-coagulants (e.g., Brodificaum replaces Warfarin). We are world leaders in using the latest technologies. We no longer fill strawberries with strychnine by hand to kill birds eating berries. Nor do we use concrete mixers to mix 1080 poison with diced carrots like we did in the early days. Today’s poisons are manufactured in special factories, packaged in convenient paper sacks so they can be quickly emptied into purpose-built hoppers slung below heavy lift helicopters. Sowing rates have been reduced so that greater areas can be poisoned, but the overkill capacity is still huge. Commonly 70% of the baits disintegrate on the forest floor and baits can contain twice the amount of poison necessary. GPS (global positioning satellite) technology is used to make sure poisons cover a wider area and no gaps are left. Serial overkill! We use all the technology at our disposal, just like the first humans in New Zealand did, 800 years ago. It’s a shame we cannot learn from history. In the next and last segment of his talk to the Nelson Science Society, Jim Hilton holds out hope that New Zealand will change its poisoning habits and return to a healthier biodiversity. 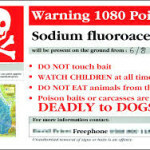 In this the final segment of Jim Hilton’s presentation to the Nelson Science Society he discusses the results of poisoning and provides some ideas on a way forward. Modern science tells us 80% or more of the targeted wildlife species are killed by poisons. Stoats, rats, possums, deer, pigs, goats, tahr, chamois and wallaby are now in very low numbers in the forests which are regularly poisoned. We also know that 70% or more of non-target wildlife, like robins, tomtits, frogs and insects, are also killed. Predator free or poison free? How anyone with a reasonable understanding of how wildlife interacts with its environment can think New Zealand’s food web can survive without predators is a mystery to me. It defies the basic rules of biology. “Poison Free New Zealand” is what we need, with sensible wildlife management to “rewild” our forests with browsing wildlife and domestic animals again. The future looks promising. Worldwide, countries are insisting on uncontaminated food products; they want ethically farmed natural food products. They don’t want food pumped up with artificial chemicals and tainted with faint traces of biological poisons. Modern analytical laboratories can measure contaminants down to parts per trillion. Modern medicine has discovered that endocrine disrupting poisons like 1080 can reduce fertility and cause birth defects at levels as low as parts per trillion. The sophisticated markets which pay top dollar for our export produce are insisting more and more on a clean bill of health. They have the testing procedures to make sure we play by the rules. Natural diseases like TB are easily avoided; not so the damaging effects of pollutants from our industrial age. Modern tourists want to visit a country which is genuinely clean and green, not one where clean and green is simply a marketing slogan. Modern computing has changed the way we educate ourselves and the way in which new science filters through to the public. The scientific information, which underpins the cornerstones of how we live, is available at the tap of a hand-held smart phone or the click of a mouse on a computer keyboard. 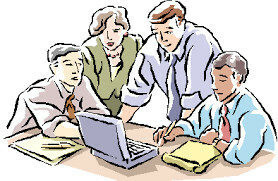 Science can be quickly read, discussed and debated electronically. As quickly as one interest group tries to protect its patch and hang on to its market share, another interest group is demanding freedom of information and consensus. These forces will hopefully bring back a real biodiversity to New Zealand. 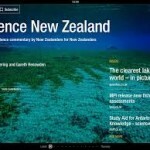 A 95 page book called “New Zealand’s Changing Biodiversity – Nature Under Pressure” using these articles as a template was published on 8 November 2018. 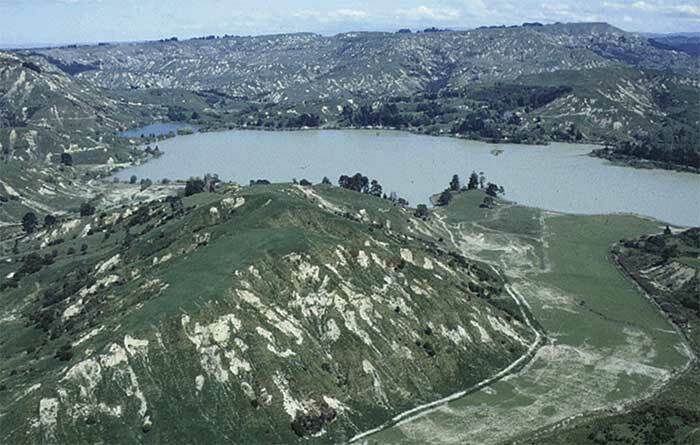 Authors Jim Hilton and Roger Childs further develop the above ideas about New Zealand’s natural heritage and how the poisoning of our land is based on out of date scientific theories and is quite unnecessary. I think the link between Cockayne and Sanderson is important. Sanderson founded what became Forest & Bird in the 1920’s. He took on board both Cockaynes belief that the forests were never browsed and his phobia of exotics. 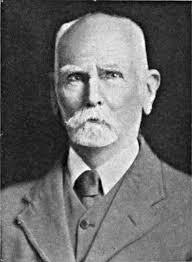 He also took on board Cockayne’s almost religious proselytising of a botanist’s preservationist orthodoxy and fashioned it into a successful commercial conservation religion. Cockaynes beliefs are just as strong today in F&B as they were nearly a century ago. Well said Geoff. As you will have seen, we’ve just started a serialization of an article by Bill Benfield, which looks at the predator free New Zealand group. It is amazing that people in high places support such organisations and policies. Great summation of where we came from and where we are at. Such a pity that Cockayne who seems to be so revered in DOC etc was so wrong in his beliefs. We are now suffering huge consequences because of his errors and it looks very likely to continue for a while yet.